Although the broad education at TRCoA could be applied to almost any entrepreneurial business, below is a career path that is directly related to some part of the curriculum. Record producers are hired by artists or A&R departments of recording companies to manage the production of single music tracks or an entire album. Sometimes they are hired by unsigned artists to create a demo. The producer's job is to help artists create a recording that will, they hope, become a big success. The producer has many roles that include coaching the musicians, controlling recording sessions, gathering ideas for the product, and supervising it through mixing and mastering. In recent years, producers have taken on a wider entrepreneurial role--with responsibility of the budget, schedules, and negotiations. The recording industry has two kinds of producers: executive producer and music producer. While the executive producer has the financial role of the project, the music producer is responsible for the music of the album or project. A music producer could be compared to a film director in that the producer's job is to create, shape and mold a piece of music in accordance with their vision for the recording. If you would like to become a successful music producer, your name and reputation are everything! Success is really dependent on reputation. The better your work, the more work you'll receive. With a little time, hard work, networking, and patience you can become a successful music producer yourself--but you have to pay your dues! Here are some of the most notable, all time music producers. 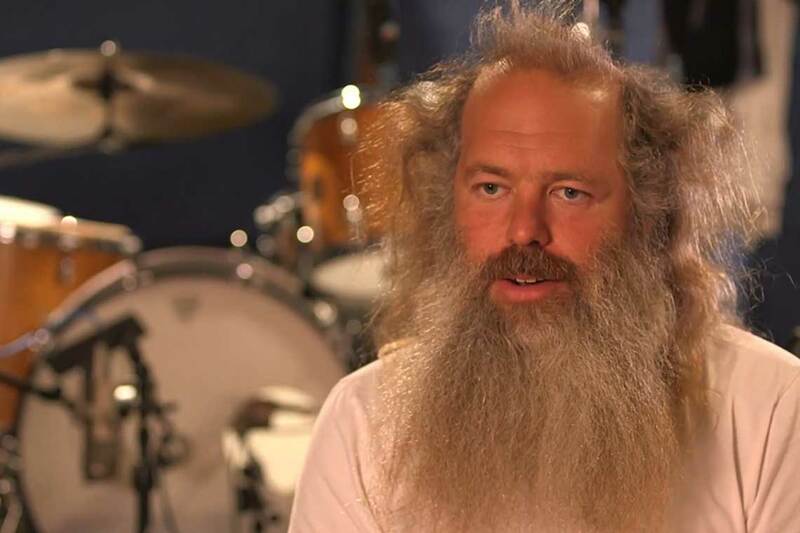 Rick Rubin is a renowned record producer and the co-head of Columbia Records. Rubin was originally the DJ for a small NY group-- the Beastie Boys-- and co-founder of Def Jam Records with partner Russell Simmons. While working with artists such as the Beastie Boys, Sir-Mix-Alot, and Run D.M.C., Rubin helped popularize a unique fusion of rap music and heavy metal. Rubin changed the name of his company from Def Jam to American Recordings in 1993 after seeing the word "def" in a dictionary. The company was renamed because he believed that finding the word in a notable source was against the anti-establishment image that he was trying to project for his company. Rubin has worked extensively with hard rock and heavy metal groups, notably Danzig, Slayer, Linkin Park, Red Hot Chili Peppers, The Black Crowes, Metallica and System of a Down. Timbaland is a Grammy Award-winning record producer. Timbaland's first full credit production work was for singer Ginuwine. 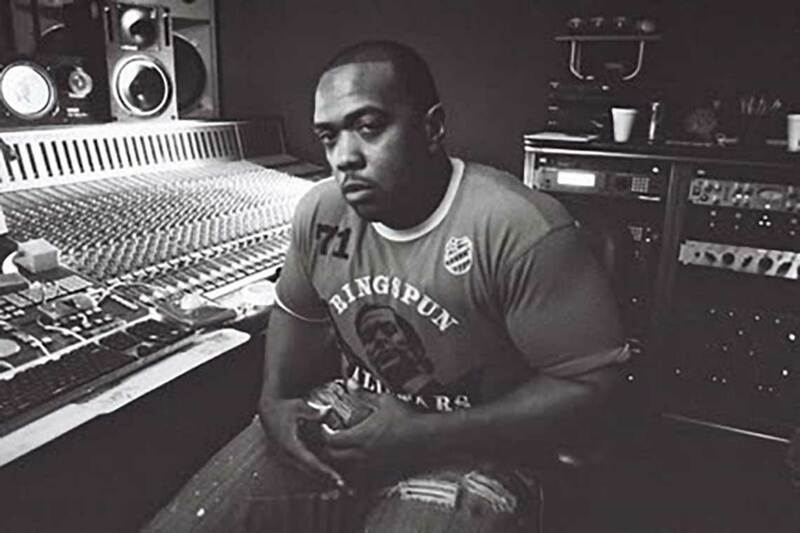 After further successful work with Aaliyah and Missy Elliott, Timbaland became a prominent producer for R&B and hip-hop artists including Jay-Z, Beck, Mariah Carey, and Ludacris among others. Timbaland built a private recording studio that was conceived and developed with long time engineer, Jimmy Douglass. The full service audio production center was created in a renovated industrial park building. A complete overhaul of the building resulted in a two-studio recording and post production facility, and continues the growth of the Virginia Beach music scene. 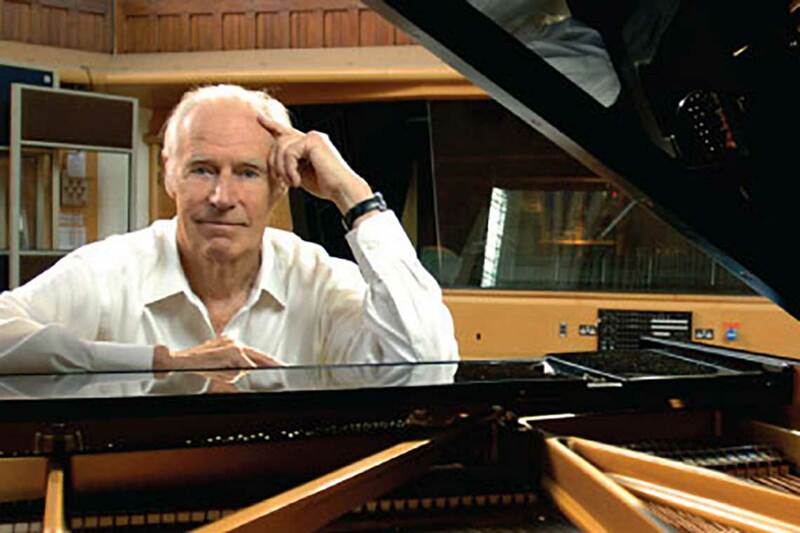 George Martin is the most successful and most influential record producer of all time. This statement of fact is supported by the unparalleled worldwide success of the recordings he produced between 1950 and 1998 - and the universal regard for the artistic breakthroughs he achieved in his career - especially in his recording of The Beatles between 1962 and 1970. In October 1998, Universal Music released his final recording as a producer - "In My Life" - an album of Beatles songs arranged and produced by Sir George and performed by an all-star ensemble of some of the world's greatest entertainers. The breadth of musical styles on the album - and the eclectic mixture of stars who came together to honor him and perform his favorite compositions by the Beatles - is a very apt finale to his career. Jones went back into the studio to produce Michael Jackson's first solo album Off the Wall. Eight million copies were sold, making Jackson an international superstar and Quincy Jones the most sought-after record producer in Hollywood. The pair teamed again in 1982 to make Thriller. It became the best selling album of all time, selling over 30 million copies around the globe and spawning an unprecedented six Top Ten singles, including "Billie Jean," "Beat It" and "Wanna Be Startin' Somethin'." 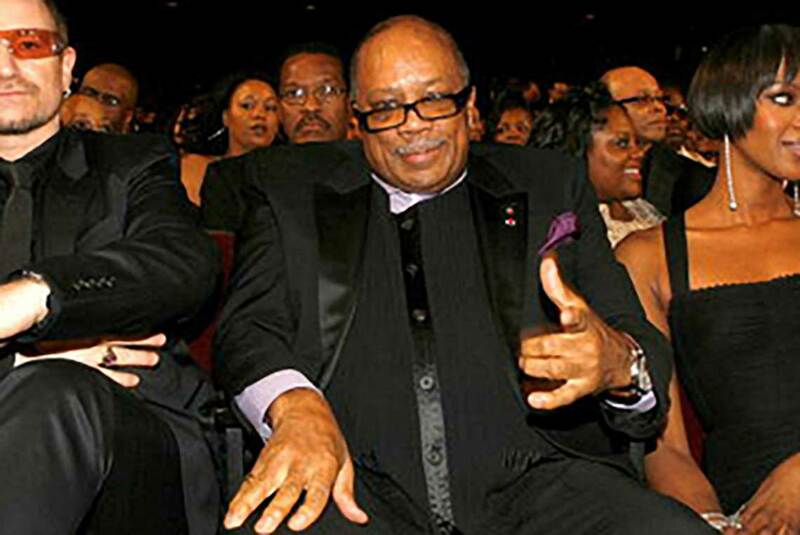 The all-time most nominated Grammy artist, with a total of 76 nominations and 26 awards, Quincy Jones has also received an Emmy Award, seven Oscar nominations, and the Academy of Motion Picture Arts and Sciences Jean Hersholt Humanitarian Award. His life and career were chronicled in 1990 in the critically acclaimed Warner Bros. film Listen Up: The Lives of Quincy Jones. In 2001, he published Q: The Autobiography of Quincy Jones.